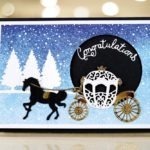 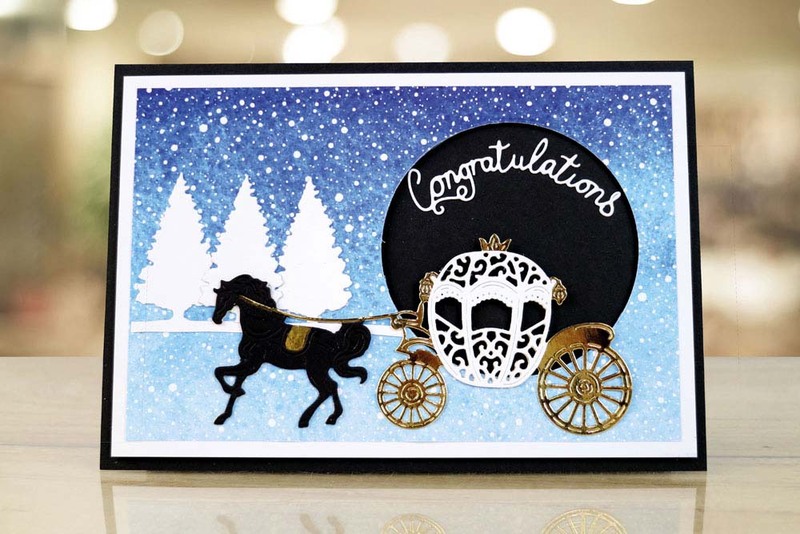 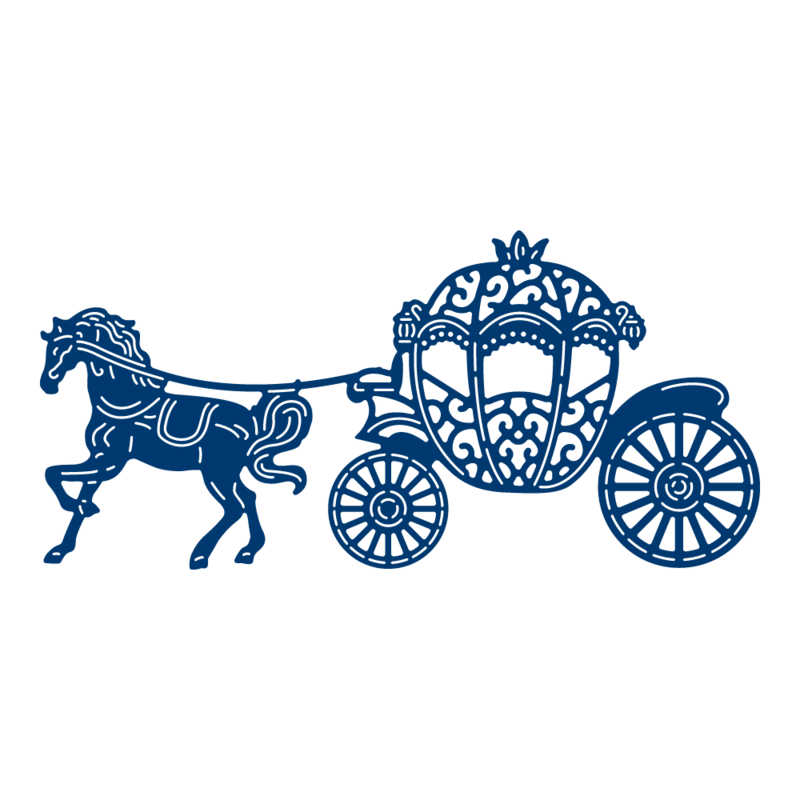 The Cherished Carriage die features a beautifully detailed horse-drawn carriage with an intricate, lacy cut-out design, and the horse in a walking stance. 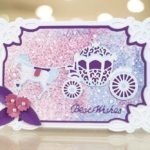 Great for crafting for little girls, as well as adults. 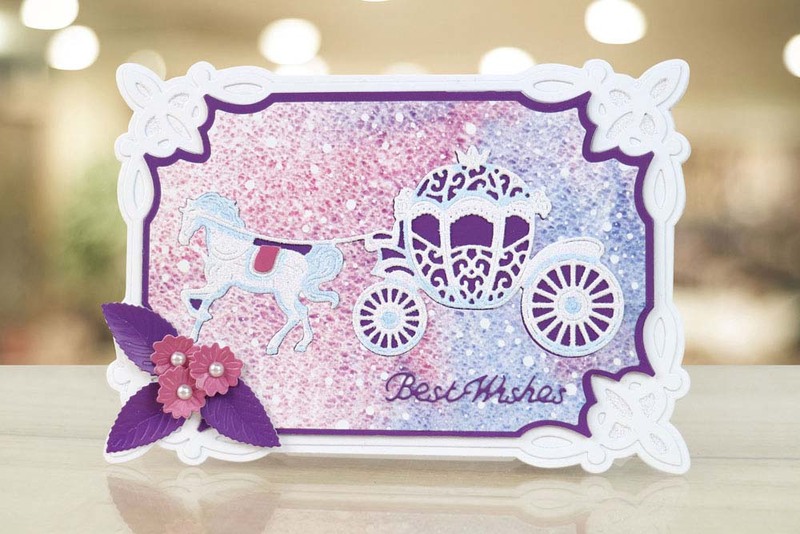 Pair with the Tattered Lace Princess Crown, Fairy Castle and Knight die, plus many more in the Tattered Lace Collection. 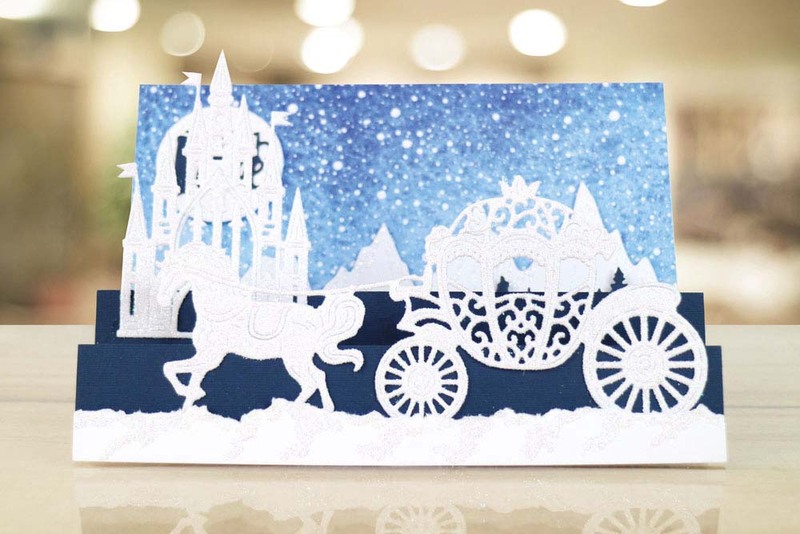 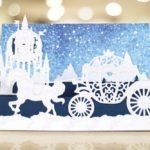 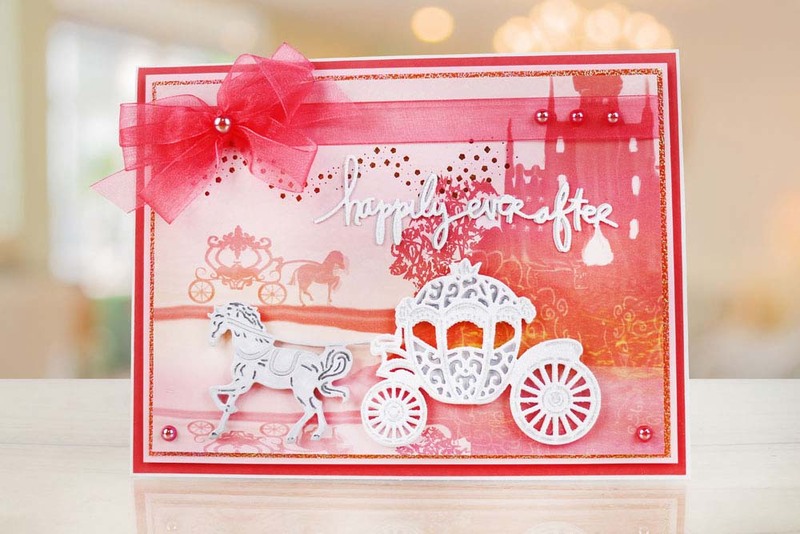 Create different scenes for this die, place the Tattered Lace Mini High Heel die inside of the Carriage for a Cinderella styled theme. 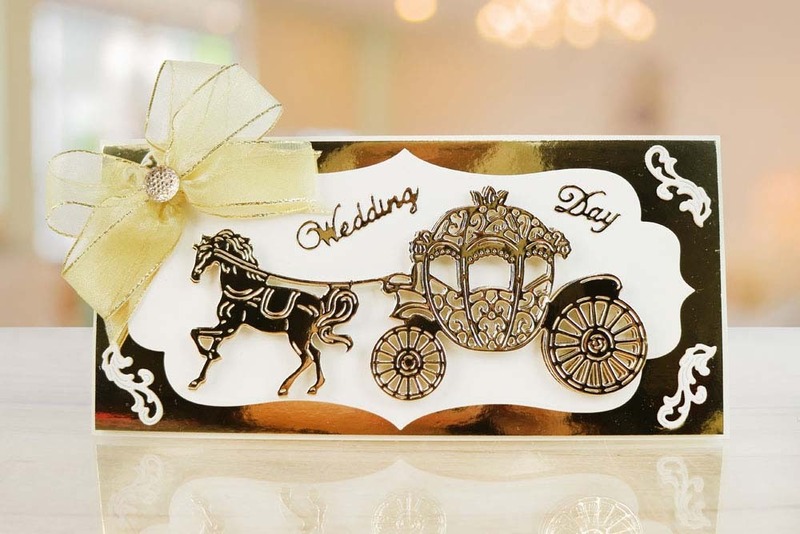 This die is an exquisite member of the Flectere die collection. 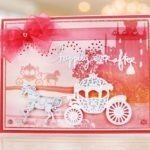 This die measures approx 14.7cm x 6.9cm. 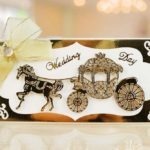 This product is part of the Flectere Collection.